ST. CLOTILDA was daughter of Chilperic, younger brother to Gondebald, the tyrannical King of Burgundy, who put him and his wife, and his other brothers, except one, to death, in order to usurp their dominions. Clotilda was brought up in her uncle’s court, and, by a singular providence, was instructed in the Catholic religion, though she was educated in the midst of Arians. Her wit, beauty, meekness, modesty, and piety made her the adoration of all the neighboring kingdoms, and Clovis I., surnamed the Great, the victorious king of the Franks, demanded and obtained her in marriage. She honored her royal husband, studied to sweeten his warlike temper by Christian meekness, conformed herself to his humor in things that were indifferent, and, the better to gain his affections, made those things the subject of her discourse and praises in which she knew him to take the greatest delight. When she saw herself mistress of his heart she did not defer the great work of endeavoring to win him to God, but the fear of giving offence to his people made him delay his conversion. His miraculous victory over the Alemanni, and his entire conversion in 496, were at length the fruit of our Saint’s prayers. 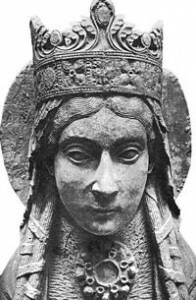 Clotilda, having gained to God this great monarch, never ceased to excite him to glorious actions for the divine honor; among other religious foundations, he built in Paris, at her request, about the year 511, the great church of Sts. 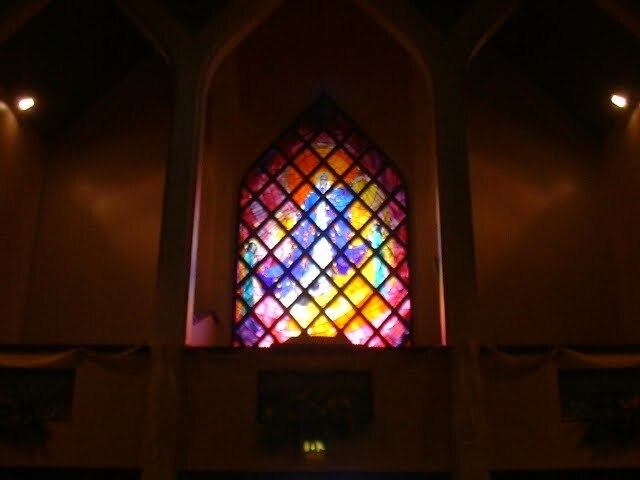 Peter and Paul, now called St. Genevieve’s. This great prince died on the 27th of November, in the year 511, at the age of forty-five, having reigned thirty years. His eldest son, Theodoric, reigned at Rheims over the eastern parts of France, Clodomir reigned at Orleans, Childebert at Paris, and Clotaire I at Soissons. This division produced wars and mutual jealousies, till in 560 the whole monarchy was reunited under Clotaire, the youngest of these brothers. The dissension in her family contributed more perfectly to wean Clotilda’s heart from the world. She spent the remaining part of her life in exercises of prayer, almsgiving, watching, fasting, and penance, seeming totally to forget that she had been queen or that her sons sat on the throne. Eternity filled her heart and employed all her thoughts. She foretold her death thirty days before it happened. On the thirtieth day of her illness, she received the sacraments, made a public confession of her faith, and departed to the Lord on the 3d of June, in 545. Reflection.—St. Peter defines the mission of the Christian woman; to win the heart of those who believe not the word.